The Mornington show for Series One of the RED HOT SUMMER TOUR – on Saturday 19th January 2019 – has sold-out a week after tickets went on sale. Due to popular demand, organisers have announced a second show on Sunday 20th January 2019. Tickets will go on sale tomorrow at 9am AEST via Ticketmaster. Promoter Duane McDonald says audiences in Mornington have always been really supportive of the RED HOT SUMMER TOUR. 'We are blown away by the support of the music-loving public in Melbourne and the Mornington area," he says. 'To sell-out the show at Mornington Racecourse in a week is massive and the demand for tickets is still really high. We had to put on a second show. It is always a great day down on the Peninsula – we have some fantastic memories over the years at Mornington. If demand is anything to go by, it looks like the second show will sell out as well. We are really looking forward to the back-to-back events on the 19th and 20th January. They are going to rock!" 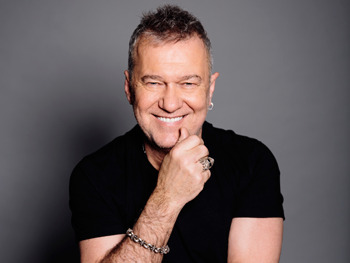 Series One of the RED HOT SUMMER TOUR is huge featuring Australia's favourite son Jimmy Barnes, Joan Jett and The Blackhearts, The Living End, Diesel, Richard Clapton and Chocolate Starfish.